If one were to describe the world purple using one word, it would be ethereal. Purple is a regal color. Exuding a lux and chic aura, the depth of purple is unparalleled. It brings an element of sophistication and edgy elegance to everything. Leather jackets are always associated with robust tones like blacks and browns. However, if you are someone who loves a vibrant pop of color, purple should be the color of your choice this time around. 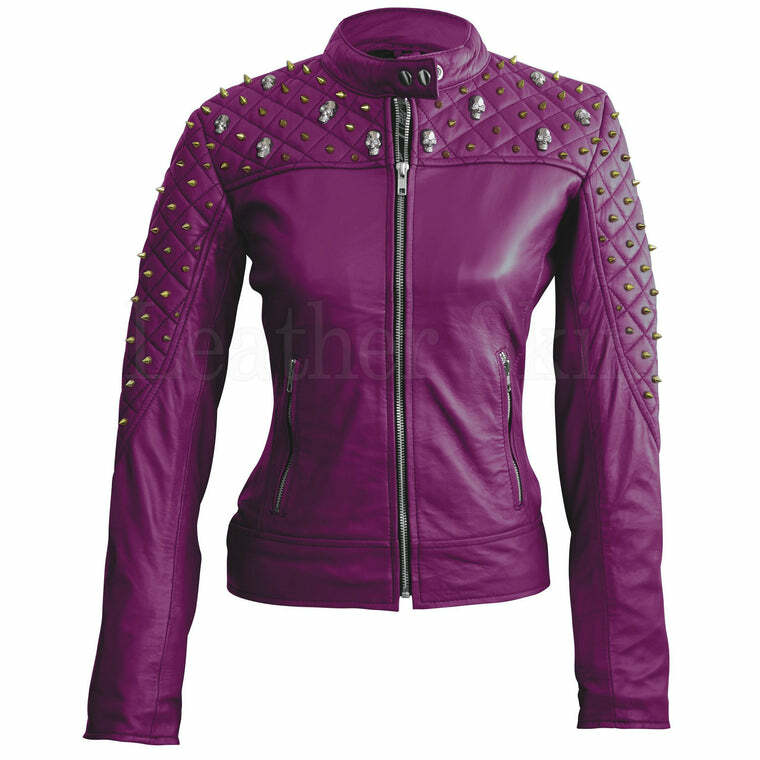 Purple leather jackets are funky and edgy. 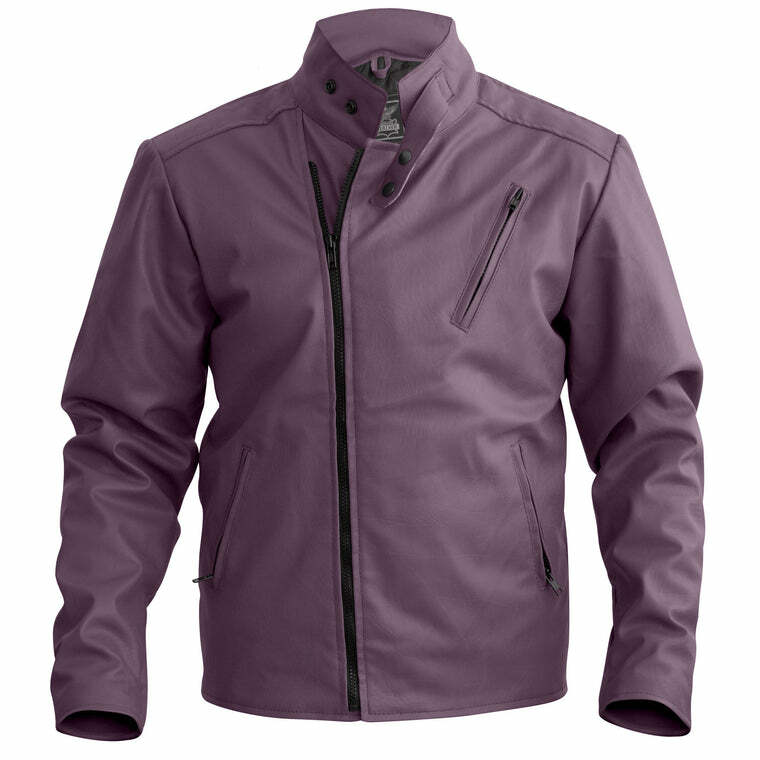 A distinct fusion of eye-catching color schemes and striking cuts, a purple leather jacket is one that turns heads wherever it goes. Style your jacket in whatever way your heart desires; regardless, it will make for a killer outfit. Pair your signature purple leather jacket with a monochrome outfit to really let it take the spotlight. 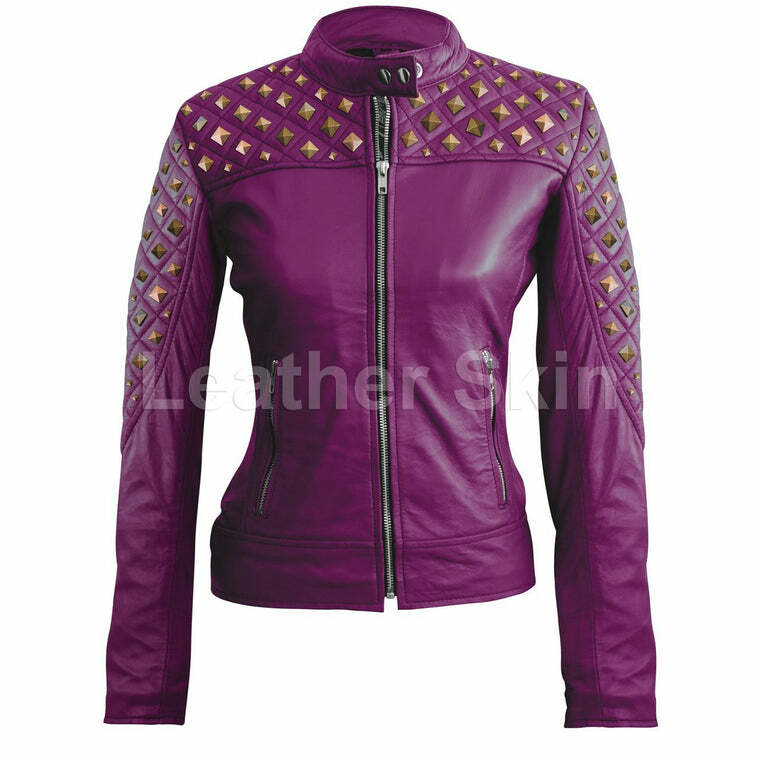 Purple genuine leather jackets can be found at Leather Skin Shop; your ultimate one-stop shop for all your leather needs. Bringing you the latest designs, immaculate quality leather in never seen before colors, Leather Skin Shop knows what is hot. 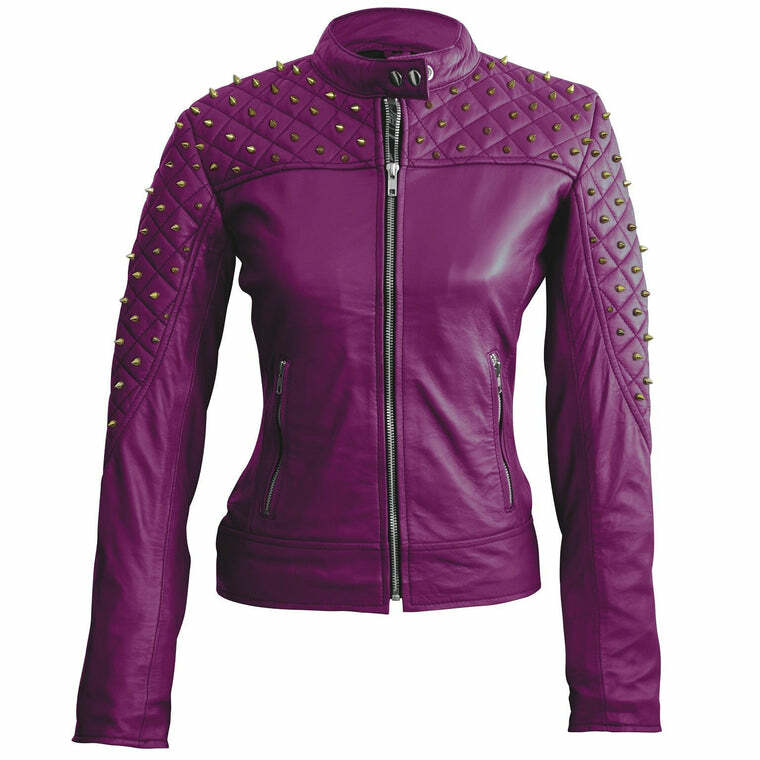 Find yourself an edgy cropped purple leather jacket, a chic pale amethyst leather moto jacket or perhaps a simple purple cruiser jacket. 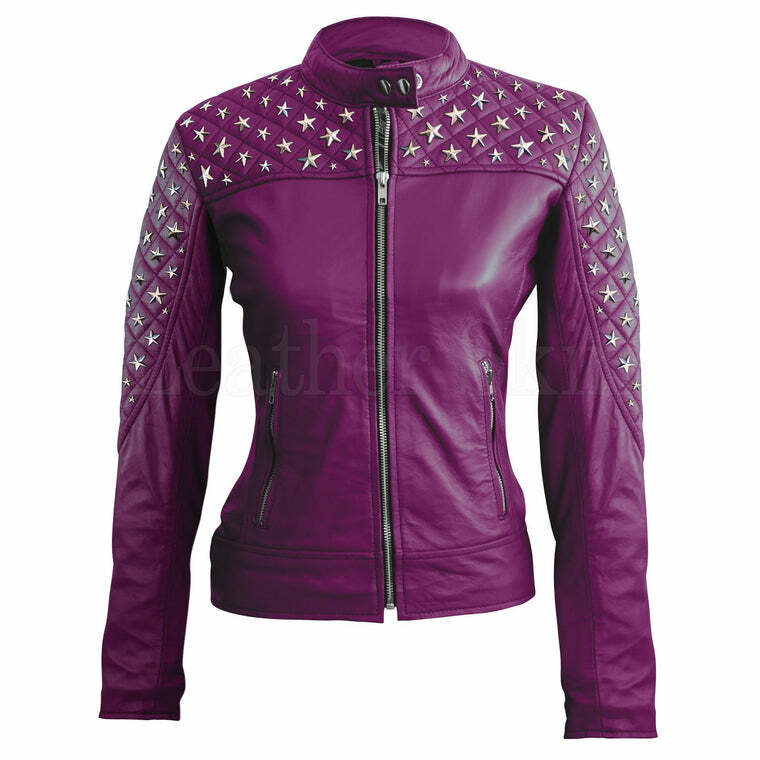 Purple is vibrant and majestic; do it justice by strutting your stuff wherever you go.